Sat., 5 Oct. - Sat., 5 Oct. Tue., 1 Oct. - Sun., 6 Oct. Sun., 6 Oct. - Sun., 6 Oct. Sat., 5 Oct. - Thu., 10 Oct. Tue., 7 May - Sun., 30 Jun. Tue., 7 May - Wed., 3 Jul. Mon., 19 Aug. - Fri., 23 Aug. Tue., 7 May - Tue., 2 Jul. Sat., 5 Oct. - Fri., 11 Oct.
See all 199 properties in Cincinnati - Northern Kentucky Intl. Situated near the airport, this hotel is within 9 mi (15 km) of Scudder Field, Crestview Hills Mall Shopping Center, and Thomas More College. Meadowood Golf Course and Shoppes At Burlington Shopping Center are also within 9 mi (15 km). 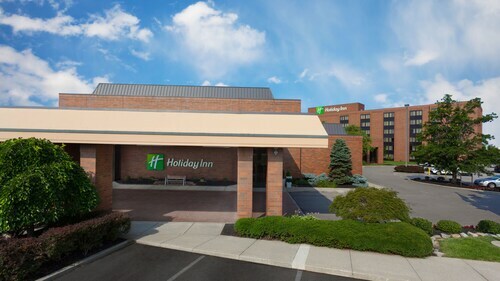 Situated near the airport, this hotel is within 12 mi (20 km) of Creation Museum, Paul Brown Stadium, and Fountain Square. Carew Tower and Great American Ball Park are also within 16 mi (25 km). 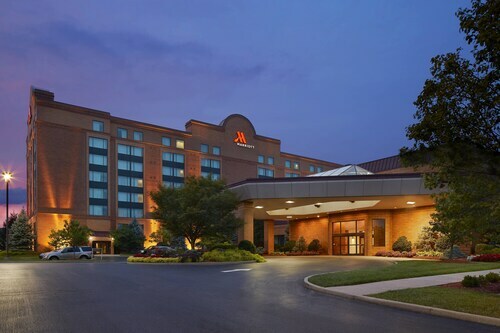 Situated near the airport, this hotel is 6.1 mi (9.8 km) from Crestview Hills Mall Shopping Center and within 12 mi (20 km) of Creation Museum and Paul Brown Stadium. Great American Ball Park and Newport Aquarium are also within 16 mi (25 km). Situated near the airport, this hotel is 2.7 mi (4.3 km) from Anderson Ferry Terminal and within 6 mi (10 km) of Scudder Field and Meadowood Golf Course. Creation Museum and Crestview Hills Mall Shopping Center are also within 9 mi (15 km). Situated near the airport, this hotel is 2.3 mi (3.7 km) from Anderson Ferry Terminal and 2.4 mi (3.8 km) from Scudder Field. Crestview Hills Mall Shopping Center and Thomas More College are also within 6 mi (10 km). Situated near the airport, this hotel is 1.6 mi (2.6 km) from Anderson Ferry Terminal and within 6 mi (10 km) of Scudder Field and Crestview Hills Mall Shopping Center. Thomas More College and Ludlow Stadium are also within 6 mi (10 km). 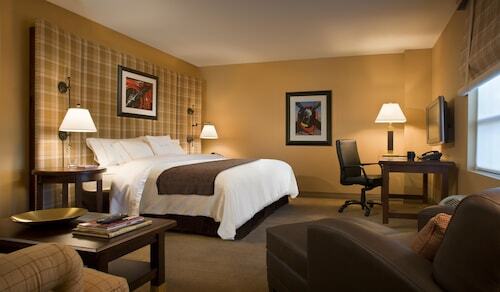 Situated in Hebron, this hotel is 1.7 mi (2.8 km) from Anderson Ferry Terminal and 3 mi (4.9 km) from Scudder Field. Shoppes At Burlington Shopping Center and Wooten Stadium are also within 9 mi (15 km). 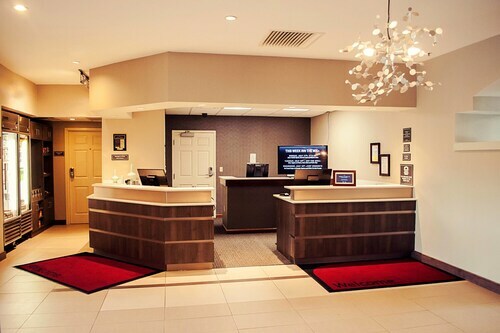 Situated in Hebron, this hotel is 2.9 mi (4.6 km) from Anderson Ferry Terminal and within 6 mi (10 km) of Scudder Field and Meadowood Golf Course. Creation Museum and Crestview Hills Mall Shopping Center are also within 9 mi (15 km). Answer : The cheapest day to fly from Halifax to Cincinnati is on Wednesday. So, if you want to save a bit of money on your next business trip look for flights on that day. Question : How much time do people spend in Cincinnati? Answer : The average time spent in Cincinnati by passengers from Halifax is seven days. Question : What is the cheapest airline flying from Halifax to Cincinnati? Answer : Ticket costs are hitting as high as $372 over the next three months when flying to CVG from YHZ. Check out WestJet, as they have bookings at just $310. Question : How much is a plane ticket to Cincinnati (CVG) from Halifax (YHZ)? Answer : Cost can range from $310 to $372, prices for YHZ to CVG change a lot less than most routes from Canada. The further out you book your ticket, the more likely you are to save on your trip.